"She could not remember its title, only that it was a book of fairy tales, and that the main character was a fairy called Oona (she was certain of that spelling). She said she read it between the ages of 7 and 9, which would mean c. 1932-35 (although of course the book may have been published before that)." Reader Cindy Snyder was the first to respond. She prefaced her Oona information with "I found this information, but I'm not sure if it will help because of the publication date." What Snyder found was "The Wee Christmas Cabin of Carn-na-ween" by Ruth Sawyer, which was originally published in 1941. "A hundred years ago and more, on a stretch of road that runs from the town of Donegal to Killybegs and the sea, a drove of tinkers went their way of mending pots and thieving lambs. Having a child too many for the caravan, they left it, new-born, upon a cabin doorstill in Carn-na-ween. "So begins the life of Oona Hegarty, who grows up to be beautiful, kind, talented and clever — but doomed , as a tinker's child, never to marry or have a home of her own. She spends her life wandering from cabin to cabin, nurturing others' children or tending the sick and the old, only to be turned out again when her usefulness has passed. Then comes the snowy Christmas Eve when Oona, an old woman now, finds herself homeless, hoisting a bundle of donated treasures almost too heavy to lift. With a famine turning human hearts to stone and not a soul who is willing to take her in, it seems Oona will end her days with no place to rest her head or warm her bones. But what of the Gentle People said to live in the boglands near Carn-na-ween — will they let an old woman's lifelong kindness go unrewarded, especially on a white Christmas?" Meanwhile, Justin Mann of Justin's Brew Review let his Google+ friends know about our search. One of them, Floyd McGaha, suggested searching Google Books with a date filter of 1900 to 1939. You can view those results here. And my mom, who works at The Helen Kate Furness Free Library in Wallingford, Pennsylvania, and loves to help with the mysteries we come across, added the following suggestion: "Check out 'Oona and the Giants,' an old Irish folktale which has been published many times with different titles by several tellers and retellers. I can't find an original author, which is normal for old folktales." So we haven't solved this one yet for Simon and his grandmother. But I feel like there are still some good leads to pursue. I'm definitely going to delve more deeply into Google Books. Stay tuned! Reader memories of West Pittston, Pennsylvania: Reader Jo Ott provided us with some wonderful tales of growing up in West Pittston. At one point, she wrote: "There are many more stories -- like how our family received eggs and sugar in the mail from a relative in Juniata County during those war years." That prompted me to ask, "How does one mail eggs?" "The egg story goes like this: My aunt Lydia owned a restaurant in Mifflin, across the Juniata River from Mifflintown. As a business owner, she was able to have much larger rations of food items than residents with those tiny ration coupons. She would share with some family members & I'm sure some town folk some restaurant supplies that were rationed by the government during those war years. She had a square box made out of some kinds of composite materials that was very sturdy. Inside were three layers of dimpled and thick fiber board. Each dimple held one egg, so the box was able to hold two dozen eggs, with one layer on the bottom, one above filled with eggs and the third on top for protection. Once filled and ready to be shipped, there were two heavy-duty straps to hold the lid, which fit down over the sides, in place. On the outside there also were two square, metal frames in which to place address to and return address cards. Aunt Lyd, as nearly everyone called her, would ship the carton of eggs to us and we would ship the empty carton back to her to begin the process all over again. I don't recall if any or how many eggs were ever broken in the few years we did this. I've no idea whatever happened to that box. With the many floods in that area, I'm sure it floated on down into the Chesapeake Bay and out to sea many years ago!" "I know that 'remittances payable' is old-fashioned code for check, but I've never run across the phrase crossed, even in my brief, but tortured stint, as a bank auditor. "Research indicates that it is a banking practice found in Europe, Asia, and other places but not the U.S.
"To cross a check, you draw two parallel vertical lines across the face of the check with various notations between the lines, each meaning something different. At this point the check cannot be cashed, it must be deposited. "If a bank name, as requested by J.C. Savage, is included in the lines, it's even more restrictive, indicating that the check must be deposited to that bank in order to get payment. "Very similar to the U.S. endorsement 'For Deposit Only' except that the safeguards are made by the person writing the check not depositing the check. "More than any sane person would want to know..."
And exactly the kind of cool history I love to pass along here on Papergreat. Thanks, as always, JT! The (new) oddest stuff I've found tucked inside a book: Wendyvee of Wendyvee's RoadsideWonders.net comments: "I love a person who would track down info regarding embroidery floss and tags found in a book ... I would totally do the same thing." Postcard: Wishing Thoma a Merry Christmas in 1913: seldom_seen writes: "If you find out who the publisher of the Post Card is, let me know. I have a card with an identical Post Card header but underneath it is an additional little Trademark of an S inside a larger Q. I have net been able to identify the trademark, yet." Saturday's postcard: America House Motor Inn: Melanie Pancho, responding on Papergreat's Facebook page (do you "Like" this blog yet?) was able to solve the primary question posed by the post, because she lives in Virginia Beach, Virginia. She writes: "Yep, it's still there! 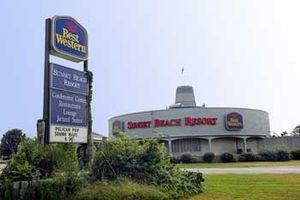 It's called the Sunset Beach Resort now, though." And she provided this link. 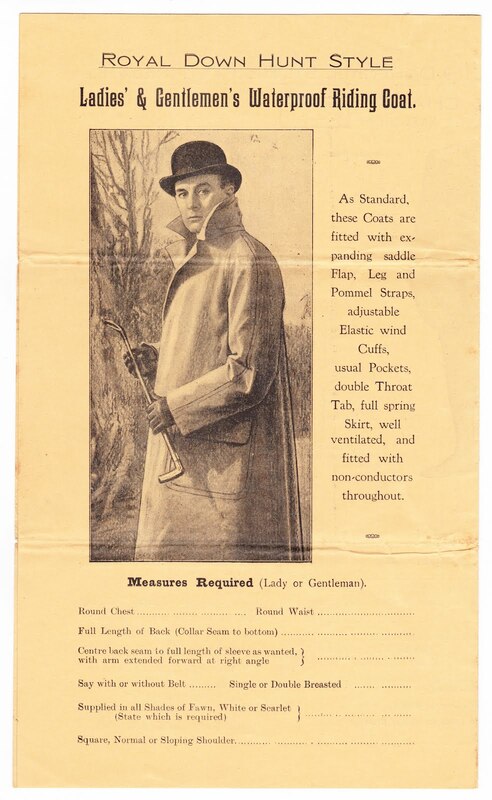 Advertisement for Murine Eye Remedy Co. in "The Rival Heiresses": Also commenting on Facebook, Linda Chenoweth Harlow writes: "I'm going to see if I can get out of doing a lot at work tomorrow because my eyes are 'enfeebled' and the computer screen makes them worse." Now, I'm sure the reason Anonymous sent me this photo is because of the Microsoft poster on the right. 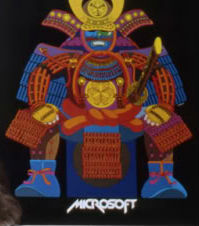 I have no idea what product Microsoft is touting with this colorful illustration of what appears to be a samurai. A T-shirt that states: "Still looking for Prince Charming"
You never know where this blog is going to take you, eh? Today, it was from Oona to E.T.